Today Judge Randy Bellows issued a Letter of Opinion granting the Attorney General of the Common of Virginia’s Renewed Motion to Intervene and defend the constitutionality of the Virginia Division Statute 57-9 in regard to the contracts clause of the United States Constitution. In addition he also issued a court order that the scope of discovery will continue as he made it clear that he doesnot want to put at risk the date of the October trial. He reiterated that the scope of the October trial will include focusing on the whether the votes taken by the CANA congregations were fairly taken and to verify the outcome of the majority of the congregations votes to affiliate with its choice of branch. He will also rule following the October trial whether the contracts clause of the U.S. Constitution causes 57-9 to be unconstitutional, which is a major reason for the Attorney General of the Commonwealth of Virginia to reintervene and defend the constitutionality of the historic Virginia statute. From those rulings he will determine the fate of each congregation. 1. Whether the Diocese of Virginia and The Episcopal Church may assert at the October trial that the voting CANA congregations contracted away, waived, abandoned, or relinquished their right to file 57-9 petitions (BB NOTE: which makes me wonder why the Standstill Agreement did not consider that action hostile which this assertion surely does – and may also explain why the Standstill Agreement is still not up on the Diocese of Virginia’s website). The judge says that the CANA Congregations maintain that this assertion is both untimely and unpled. 2. Whether the contracts clause protects only contractual rights that existed prior to the effective date of the predecessor statute to 57-9 (1867) which Judge Bellows explains is the position of the CANA Congregations. 3. Whether in determining the applicability of the contracts clause to particular congregations, the Court should consider only applicable deeds, which Judge Bellows also explains is the position of the CANA Congregations. Judge Bellows says in his Order that these three items are pure questions of law and will be resolved prior to the October Trial. He set the date of August 11 in the Fairfax Circuit Court to hear those oral arguments from the Episcopal Church/Diocese of Virginia and the CANA Congregations. So from Lambeth to Court do we go. 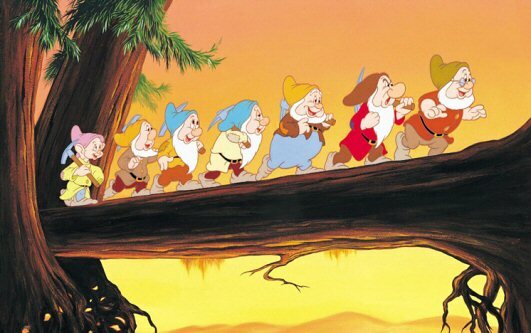 Hi ho, hi ho, hi ho. Praying for you all <> daily <>.